What is the density of the rock? Where are the low density portions of the stratigraphy? How does the density vary spatially? Where are the faults? Where are the abandoned-mine’s air shafts? How can I find sinkholes or underground voids? Where is the gas in my well? How far from the surface is a rock layer? Where is a postulated fault? What are the subsurface elastic properties of a zone or layer? Where is the water table? Where is a channel cutting into the bedrock? Why don’t my borehole picks of top of rock make sense? Where is the location of a weak zone, a soft layer or fault gouge zone? What are the IN SITU values of the elastic constants-Young’s modulus, shear modulus, bulk modulus, Poisson’s ratio? How strong is the alluvium? How strong is the rock? What is the shear wave (S-wave) velocity and compressional wave (P-wave) velocity of specific subsurface layers? Is liquefaction and collapse a risk for the dam? 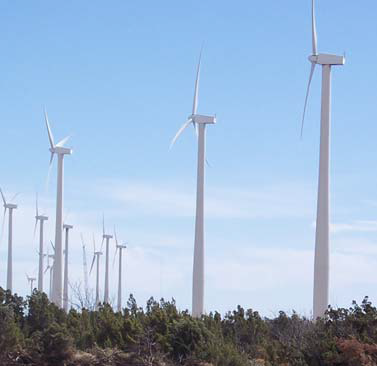 What are the design parameters for this wind farm generator foundation? What is the ground resistivity for grounding mat design? What is a Wenner sounding? How conductive are the soils along my pipeline route? How do I do a four pin resistivity measurement? What are the design specifications for the cathodic protection system? Where are the geologic formation boundaries? Determining underground geology related to fault location: Is there a fault and where? What is its direction of displacement? How big is the fractured zone around the fault? How do I determine ground motions due to the industrial blast? What are ‘safe’ limits for blasting? Can I build a microchip factory next to that drop forge? How high are the vibrations from that conveyor belt? What is the permeability of the rocks? Which way is the water flowing? Where do I drill my water well for the best flow rate? Where are zones of increased water production? Permeability is qualitatively interpreted or interpolated with the help of adequate ground-truth data (i.e., correlated to a sandstone bed or shear-zone that can be mapped using remote sensing). There is no known way of directly measuring permeability using remote sensing. 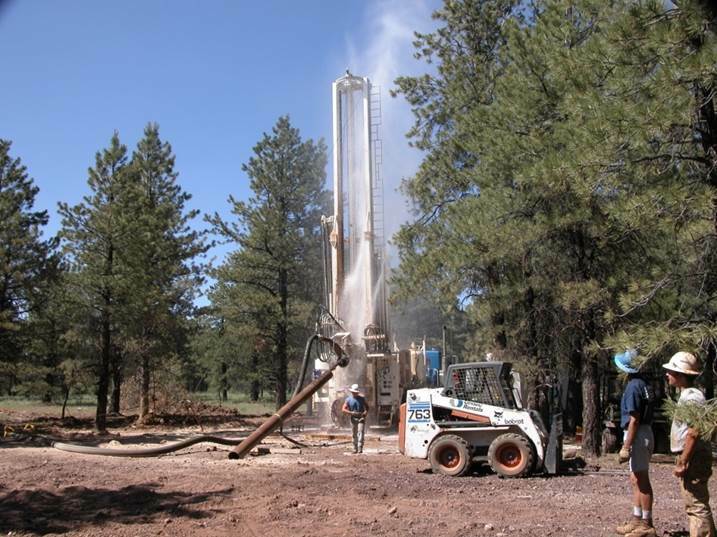 Various pump-tests and borehole methods get us closest. How strong is the bedrock? 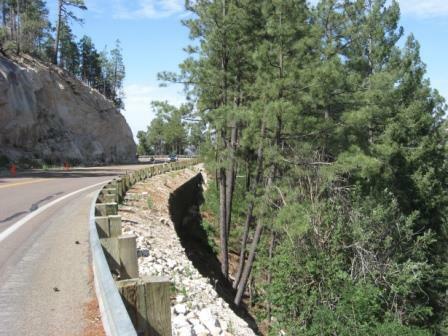 How big a bulldozer do I need to rip (rather than blast) a highway cut? Are there hard patches in the subsurface that I cannot rip? What is the probabilistic seismic hazard analysis for this proposed dam? What is the acceleration that my structure will experience during its useful lifetime? What acceleration should my structure be designed for to prevent catastrophic collapse? What is the UBC site classification (A,B,C,D,E) that I should use in foundation design? Why do I care in this state? What is the temperature profile with depth? Can I heat this commercial greenhouse with geothermal waters? How does the heat flow vary across the earth’s surface? Where is the geothermal resource? Where do I put the steam plant?